A new contemporary romance from Ryan Winfield, the New York Times, USA TODAY, and Wall Street Journal bestselling author of Jane’s Melody. Elliot Champ, a charming but solitary bachelor who has sworn off romance, is closer than ever to realizing his childhood dream of moving to Miami—until a chance letter lands on his desk, and changes everything. The letter takes him to Echo Glen, a secluded retreat outside of Seattle, where he meets David Hadley, an elderly man who needs Elliot’s help fulfilling a promise to his wife, June. But along the way, it is Elliot whose life will be changed, as he’s introduced to a cast of colorful characters who conspire to draw him ever deeper into a whimsical world, where falling in love is all about letting go. From the green mountains of the great Pacific Northwest to the scarlet poppy fields of northern Spain, this unique and heart-wrenching love story will take you on an emotional journey to that ever-elusive place called true love. Another must-read romance from Ryan Winfield that is guaranteed to draw tears, put a smile on your face, and have you, too, falling for June. ALL I EVER wanted in life was a condo in Florida with a pool to lie beside in the sun, and I was closer than ever to getting it when I met David Hadley and fell for his wife. But it’s not exactly how it sounds, so let me explain. First, I think I should tell you a little about me and how I came to know David Hadley. I promise not to bore you with too many sad, personal details about my childhood, especially since this is, after all, a love story—or, if things work out the way I hope, two love stories in one. I grew up on a muddy street in a tiny backwoods timber town called Belfair. The sign on the road that led into town claimed it was Washington State’s Best-Kept Secret, but it said nothing about the dark cloud that seemed to hover above it year-round. My father was a high-climbing tree topper by day and a wine connoisseur by night—those two things sound like they shouldn’t mix, I know, but they somehow did in him—and nearly every afternoon I would ride my bicycle out to the work site and holler up a “Hello!” just to see his purple grin beam down on me from atop a big Doug fir or Pacific red cedar. He was a kick, my old man was. And that’s how I’ll always remember him, that lofty purple grin. My father took pride in his longstanding memberships with a half dozen mail-order clubs for exotic wines from around the world, and he considered himself a great collector—even though his collection consisted mostly of saved corks and empty bottles. He also considered himself the town sommelier, which was the only French word he knew, and one he proudly used. That was my dad, Belfair’s tree-topping sommelier. All month long he’d take orders for friends, and on delivery days, he’d load up the cases in my rusted red wagon—we never had a car; too much wine to buy, I guess—and tow them down the muddy streets, making his rounds and waving hello while flashing his purple grin to everyone he passed. He had a lot of friends, my old man did. Especially on delivery days. Belfair had four bars and one church back then—the bars are still there, but the church was torn down years ago—and while it was not uncommon for my father to visit all four of the bars on any given Sunday, he never once set foot inside the church. Well, at least not until he entered it headfirst to be displayed at the front for an afternoon. The pastor claimed the Good Lord had called him home to heaven, but I knew my father had bought himself a ticket there one bottle at a time. I had to bury him on credit. I was nineteen. I’ll never forget looking down at him in the cheap, plastic-coated casket and seeing his lips frozen in his signature purple-toothed grin, an expression so a part of his being that not even the mortician’s cunning could erase it from his face. I had seen photos of his father, and of his father’s father, and it was a drunken smirk that ran in our family just as strongly as our small ears and big hands. But despite his purple smile, life had been hard for my old man—especially after my mother ran out on us. Her name was Oksana and she was beautiful. But she was never meant for Belfair. She had only been passing through on her way south from Vancouver, stopping just long enough to make the mistake of getting pregnant with me. She tried to be a mother for a little while, she really did, or so my father told me, but then she left for cigarettes and milk on the eve of my third birthday and just never came home. A package arrived six months later from California with a bottle of Napa wine for my father and a Mickey Mouse T-shirt and belated birthday card for me. Inside the card was a Polaroid of her standing in front of MGM studios, and that’s the only photo I have of her. She sent two more letters that year—one from San Diego, one from Houston, and both addressed to me, as if I could read at the age of three—but she sent nothing after. And that’s fine with me. It really is. But I still keep her photo just the same. My father never married or even seriously dated after my mother left. I remember several neighborhood women helping out with me early on, many of them single, but if my father showed any romantic interest in any of them, it was never serious enough, and soon they drifted away and it was only the two of us left on our own. I’ll tell you straight up, though, he was a gentleman all the way, my old man was. Despite my mother’s having run out on us the way she did, he didn’t hate women at all. Not one bit. He did, however, hate the idea of love. And so do I, to tell you the truth. Or at least I did, before I met David Hadley and heard a love story that would change my life. But I’m getting ahead of myself. Back to my old man. I remember asking him about love once. I said, “Do you think you’ll ever get married again?” He laughed. “I’d rather fall from the top of old man Snyder’s tallest Doug fir.” Then he looked up from the TV just long enough to lift his wineglass, as if toasting to his own comment. When I pressed him about it, he set his glass down and switched off the TV—a rare and serious occurrence in our little trailer. Then, what was even rarer, he called me over and pulled me down and sat me on his knee, just like I’d sat when I was a boy, except now I was twelve and already a man, were you to ask me. But the reason I’ll never forget it is because he looked right into my eyes and for once he wasn’t grinning. I nodded that I understood, and I thought I did. But I was young and scared, and he was old and scared, and together we didn’t know enough about love to fill a wineglass. Then he released my neck and eased me off his knee before picking up his wineglass again. I was still rerunning the conversation in my head when I heard the TV switch back on. But I never forgot it. Not a word. It was the only serious conversation we ever had about anything, and it was the only direct advice he ever gave me. I guess maybe that’s why I took it to heart the way I did. But despite adopting my father’s opinions about love, I disagreed with him wholeheartedly about Belfair. For him Belfair would forever be home; for me it was nothing but a hell I couldn’t wait to flee. Truth is I was already dreaming of escape long before I’d asked my old man about love. Hell, I was dreaming of escape before I even learned to read. On Sundays my father would sometimes take me down to the Silver Spruce Saloon for a hot cocoa while he impressed his friends by describing various wines at the bar. Talking tannins and nuttiness and all that garbage nobody really understands. But I loved going because they had one of those real estate brochure racks there in the corner, and I was so mesmerized by the glossy, sun-dappled pictures that I’d let my cocoa go cold just flipping through them again and again. They seemed as far away from Belfair as Camelot to me. When I got a little older, I’d ride my bicycle fourteen miles to the ferry terminal to load up on the magazines that passengers left behind on the free shelf, then ride back and pass cold winter evenings cutting out my favorite beach houses and hanging them on my bedroom wall. It looked like my room had been papered over by Town & Country and Coastal Living. Not an inch of wood paneling was uncovered, I swear. My father came in once and saw it and just shook his head and walked out again. I think he thought I wanted to be an architect or a travel agent or something. But I didn’t. I just wanted the hell out of Belfair. I know I said this was a love story, and that I promised not to overwhelm you with childhood travails, but this will all make sense when I tell you about David and June and how I came to be the caretaker of the greatest love story I’ve ever heard. And I don’t want you to think I’m looking for any sympathy here, either, because I’m not. I don’t even think my childhood was all that bad. Certainly it wasn’t compared to some others I’ve heard about. I told that to a concerned guidance counselor once, that my childhood wasn’t so terrible, and she said that each of us has experienced the worst childhood we will ever know. And even though I remember thinking at the time that she was kind of pessimistic to be a counselor, she was right. But that means that each of us has experienced the best childhood we will ever know too. So, on balance, I guess mine was all right. But still, I couldn’t wait to bail out of Belfair. My plan was always to leave the day I turned sixteen. Of course, my father was fully in his cups by then and partially disabled from a fall that broke his left hip, so I put my dream on hold and got a job at the local planing mill instead. And then three years later my father died, as I mentioned already. Our trailer was a rental, and there was nothing in it worth selling that hadn’t already been sold, so after I’d worked long enough to pay off the funeral debt, I packed a bag and made the rounds saying good-bye. The manager at the mill laughed when I told him I was leaving for Seattle. He said the city would chew me up and spit me out like a twig tossed into a wood chipper. He was always calling me a twig on account of my being skinny. But he wasn’t a mean-spirited man; he was just afraid. All of Belfair was afraid, I guess, since no one ever left. But I wasn’t afraid. Truth is, I had nothing to lose except a suitcase full of clothes, my favorite Miami condo clipping torn from my bedroom wall, and sixty-four dollars and ten cents. I remember the exact amount because I counted it on the ferry four times before I made my first investment in my future by tossing the dime overboard with a wish. I wished for that condo in Miami, but I told myself I’d settle for dying anywhere other than Belfair, and without the drunken family grin on my face. The city did chew me up, but I refused to let it spit me out. I slept on the streets beneath the viaduct until there was space in a men’s shelter. Then I jumped between hostels, taking a job sorting donations at the Salvation Army and working my way up to cashier. I was always good with figures, even though I had dropped out of high school to work at the mill. I studied nights for my GED and got it, along with a better job and a studio apartment. Then I enrolled at Evergreen Community College. When I received my associate’s degree, I went back to the cemetery in Belfair and showed the diploma to my father—“Look, Dad, I did it; the first in our family to graduate college.” Then I went to show it to the mill manager, but it turned out I’d missed him already at the cemetery. I was on my way to enroll at the University of Washington extension campus when I met a man on the bus who saw the financial aid application in my hand and laughed. For some reason he felt the need to warn me that going into debt for a useless degree would be the worst mistake of my life. He said the real money was in mortgages. He said he’d made piles of cash selling loans, enough in fact to buy his first home before he was even twenty-five. He said he damn near had a real estate empire. Although, looking back, I never thought to ask him why in the hell he was still riding the city bus if he was so wealthy. But whether he was full of bull or not, I promptly forgot about school and enrolled instead as an assistant mortgage broker at Washington Mutual. The bank was growing fast, gobbling up smaller banks all around the country, and I watched the mortgage brokers I was working for get fatter and flusher by the day. Then it was my turn. A simple test, a minor background check, and at last, I was a licensed broker ready to take on the world one mortgage at a time. But as it often does, the world had other plans. The housing market crashed, the bank went belly-up, and almost as soon as I had earned my promotion I was out of a job. I looked for work, I did, but there was no place for a freshly minted mortgage broker with no experience, even if he did have an associate’s degree. Some luck, right? Back to the Salvation Army for me, or so I thought, until a new plan presented itself in the form of a stolen newspaper. I don’t like a thief at all. And I’ve never been one, except accidentally. My alcoholic neighbor got the paper, but he never was up before noon on a Sunday, so it was my habit to borrow it to read with my coffee. I’d always fold it up neatly and have it back at his apartment door before he even knew what day it was. Except this one particular Sunday when I forgot to give it back. I forgot because there was a front-page article about people defaulting on their home loans faster than they had signed them. That in itself wasn’t news. What was news was farther down in the story, about how a local firm was handling foreclosures for the big banks. They employed reps to go out on house calls to discuss options with the homeowners. The paper called them “vulture visits,” of course, while the big banks spun them as “pre-foreclosure counseling sessions.” Everyone else called it “cash for keys.” But I didn’t care what they were called. All I cared about was the claim that a good rep could earn six figures. That, and they were hiring. I ran out right there without even finishing my coffee, taking the paper with me. I bought a new suit on credit at Macy’s—they’ll give anybody a card, I swear, even if you don’t have a job—and changed in the store before heading uptown. Then I walked into the offices of Foreclosure Solutions Inc., wearing my new suit and a confident smile, and walked out employed. My business card read “Housing Transition Specialist,” but really my job was convincing delinquent homeowners to leave their properties voluntarily in exchange for a little cash toward a fresh start. It isn’t the type of career one is proud of, I know. But don’t judge me, please. Someone had to do it. Plus, it was a whole lot better than shoveling sawdust at the mill. The way I saw it, I was helping people. And it wasn’t just win-win, either, it was triple-win all the way: the banks didn’t have to go to court to foreclose, the homeowners walked away with a little dough, and most importantly, I got paid. Before long my closing ratio was the highest in the company, my payout average the lowest, and I was training new foreclosure counselors and cherry-picking my own cases. Things were good for me, even though I was still a long way from Miami. The housing crisis dragged on longer than anyone could have imagined, and business was booming because of it. I moved into a nicer apartment, bought better suits, and taped that old condo clipping from the glossy pages of Penthouses in Paradise magazine to my shaving mirror. By the eve of my thirty-third birthday, my dream was about to become a reality. I had a mortgage preapproval in hand; I had a promise of a job from my employer’s sister company in Florida; and I had a Realtor in Miami scouring South Beach foreclosures for just the right condo. It was a good day to be turning thirty-three. It also just happened to be the day that David Hadley’s letter landed on my desk. I only opened it myself on account of the stamps. It was addressed to Mr. Ralph Spitzer, as was all the mail that made it to my department, and it was posted with forty-nine carefully placed one-cent stamps. I had no idea they even offered those still. But maybe they don’t; they could have been old, now that I think about it. Anyway, the stamps had bright red birds on them, and an entire flock stared at me from both sides of the envelope. There was hardly any room at all for the address and it was so heavy with all those stamps I was surprised it even got delivered without more postage, although there would have been nowhere to put the additional stamps. Your name reminds me of a man on CNN. I hope it isn’t you. Sometimes I watch cable news and I think if there is a God, He or She should tip this whole world like a dinner plate and send us tumbling off of it like so many useless crumbs into space. I just don’t see the point. But then I think about my wife, June, and I remember her saying that maybe there is no point to anything except falling pointlessly in love. Of course, she said it just before she jumped off of a seventy-six-story building, which at the time had me questioning her sanity. But that doesn’t mean she wasn’t right. My name is David Hadley, although you probably know me as Case Number 524-331, or perhaps as 772½ Whispering Willow Lane, Darrington, WA 98241. I never have been quite sure where the ½ in the address comes from—especially since the property is just north of forty-two acres—but the postman never seems able to find us without it so I always make sure to point it out. Actually, I should probably get used to saying postwoman now, since our new one is a lady. But that’s neither here nor there, and then the address doesn’t tell you much about this place anyway. What’s important for you to know is that less than two hours’ drive northeast from Seattle, in a valley at the base of Whitehorse Mountain, 772 and ½ are the numbers on the mailbox at the entrance to Echo Glen. Now, I’ll admit the mailbox is rusted, and the wooden gate it’s attached to is half-rotted and leaning worse than the house or even the barns, but I swear to you and to postwomen everywhere that you ought to be able to send mail here simply by addressing it to the Center of the Universe, which it is. Or at least it was for June and still is for me. I’m writing to take you up on your offer to discuss my options before you foreclose. Please come by anytime. But don’t come before Good Morning America is over in the morning. And don’t come after Jeopardy! starts at four. Maybe come late morning if you can. I seem to have more energy then anyway. And besides, there’s nothing on television at that time except cable news. After reading the letter, I looked up Mr. Hadley’s loan in our system, but there was nothing unique about it. Plus, to tell you the truth, being that far out in the country, it wasn’t a huge loan by Seattle standards and the potential commission wasn’t enough to get me excited—especially not on the eve of my birthday. I keyed the correspondence into the computer, stamped the letter RECEIVED, and tossed it in the bin to be assigned to a more junior foreclosure counselor. Done and done, on to other things. My intention was to never think of it again. But, as I’ve since found, sometimes fate has plans of its own. 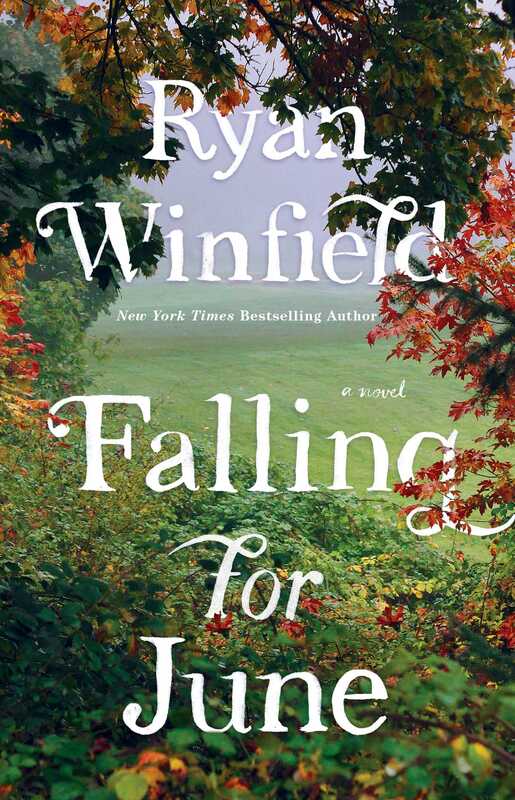 Ryan Winfield is the New York Times bestselling author of Jane’s Harmony, Jane’s Melody, South of Bixby Bridge, and the Park Service trilogy. He lives in Seattle. 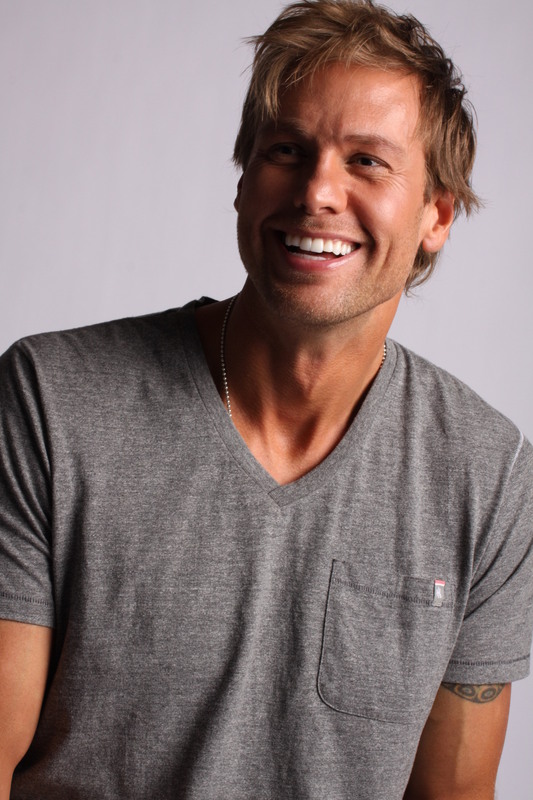 To connect with Ryan, visit him at RyanWinfield.com. "An achingly beautiful story about the pain of loss and the healing power of love." "Envy!! Ryan Winfield has written a shockingly hot and sweet love story. Jane's Melody is both an escape and an utter joy."